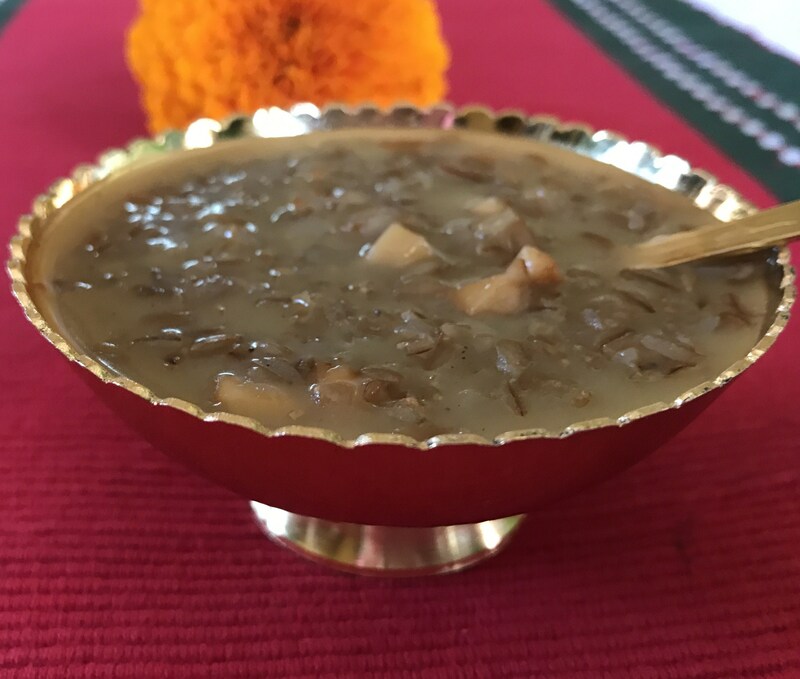 Moongil Arisi or Bamboo Rice, is a rare variety among native rice which is the gift of the bamboo flower, during the last stages of the plant. 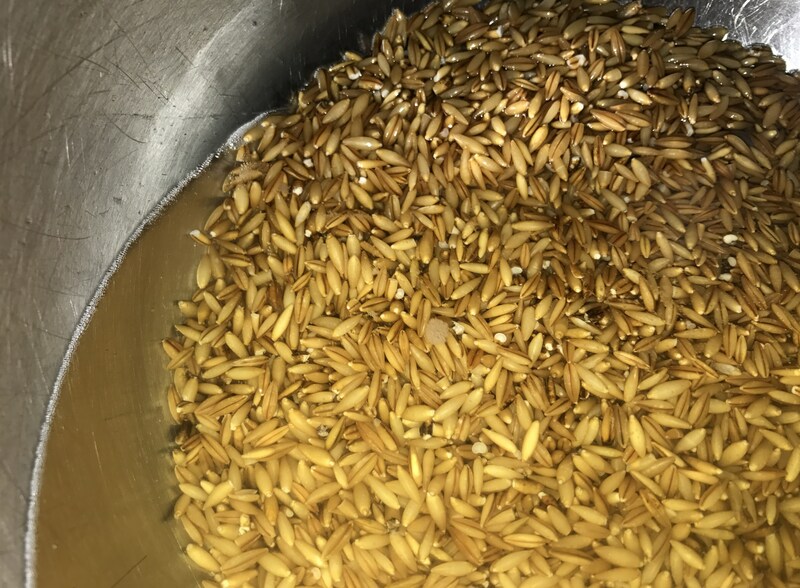 Almost similar to wheat in looks and nutty in taste, it is highly adaptable as payasam/sweet pudding, dosai/pancakes, uppuma, or a replacement to cooked rice with loads of nutritious value. High protein, high in potassium and vitamin B, strengthens heart, reduces cholesterol, maintains sugar level as it is low in glycemic index…. so many details available. 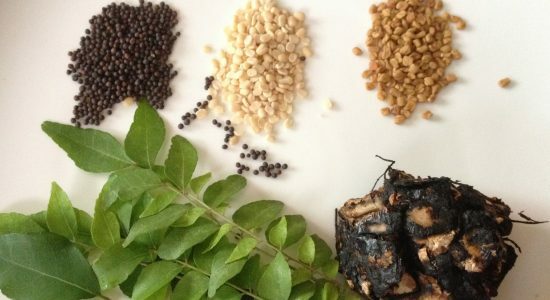 No doubt, it is several times healthier than the polished, refined rice and other carbs that are available today. 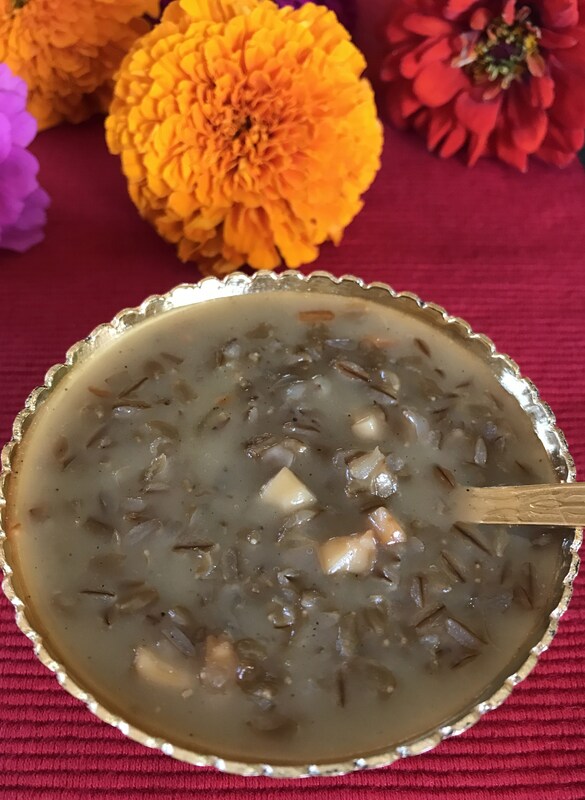 I chose to make a payasam/sweet pudding to relish this exclusive gift from the Bamboo Flower to mankind. 2. 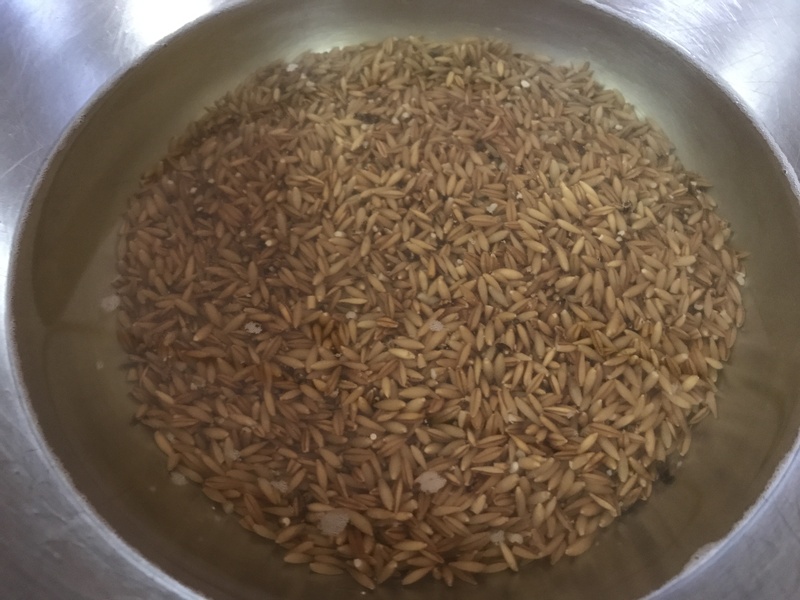 Wash well and soak moongil arisi/bamboo rice for 4 hours. 7. Add the diluted thin coconut milk and cook for another 5 minutes. 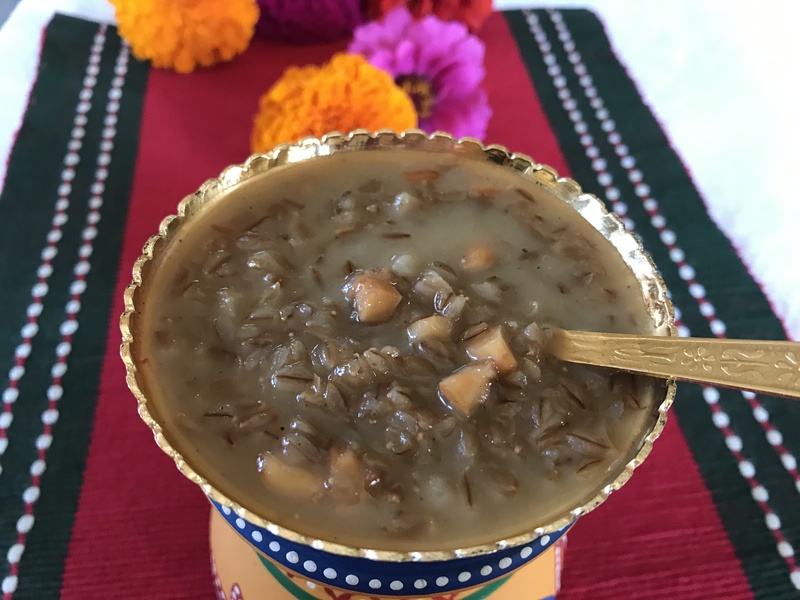 Like the paasi paruppu payasam, moongil arisi can be cooked in third coconut milk and then second and the first thick milk can be added to complete the process. But, moongil arisi is a hard nut to crack. I thought it might need more time to soften and hence used water to cook the rice well. 8. 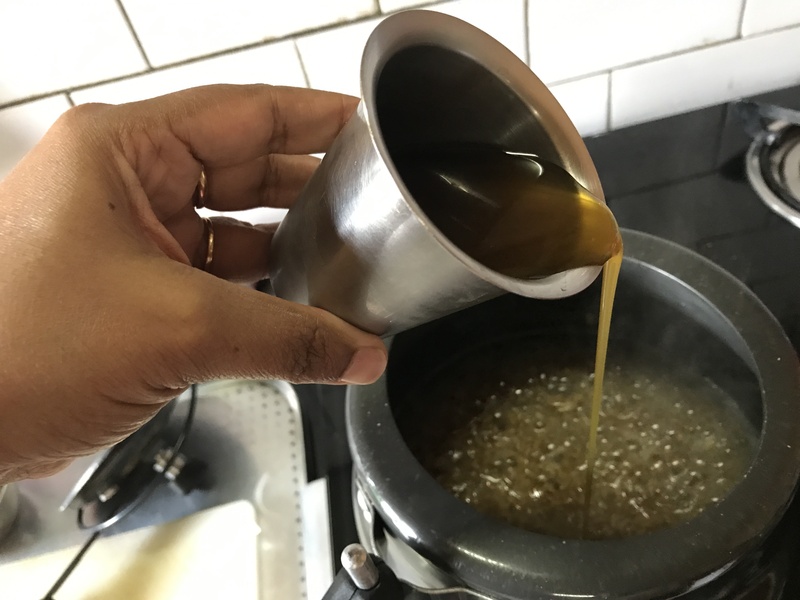 While using store-bought canned coconut milk – dilute 1/4 cup milk with 1/4 water and add at this stage, or if using home-made coconut milk from scratch, add the second milk (not so thin) after the rice is cooked with jaggery. 9. 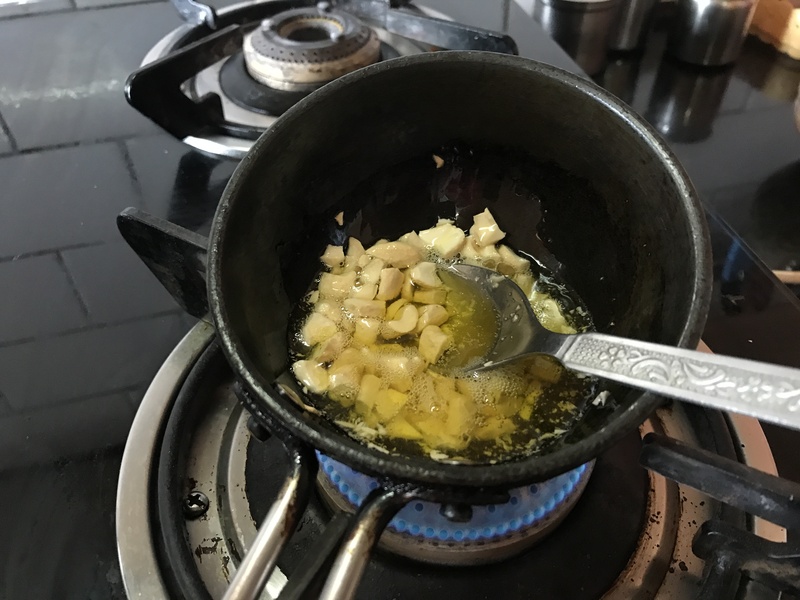 Heat clarified butter in a pan and fry cut cashew nuts and add to the boiling payasam. One can also use fried coconut slices or raisins to enhance flavor. 10. 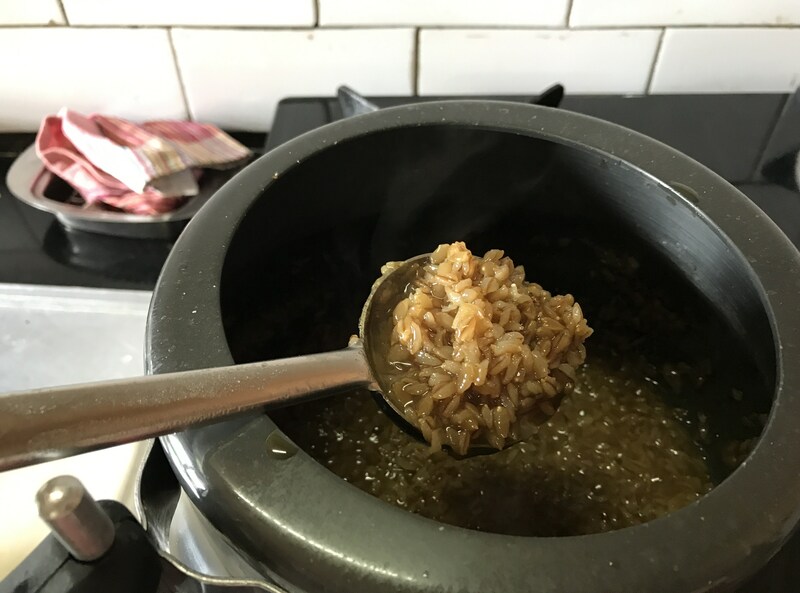 Check whether the rice is cooked well and absorbed the jaggery and coconut milk. 11. Now, add the thick milk and boil for just 2 minutes in simmered flame. 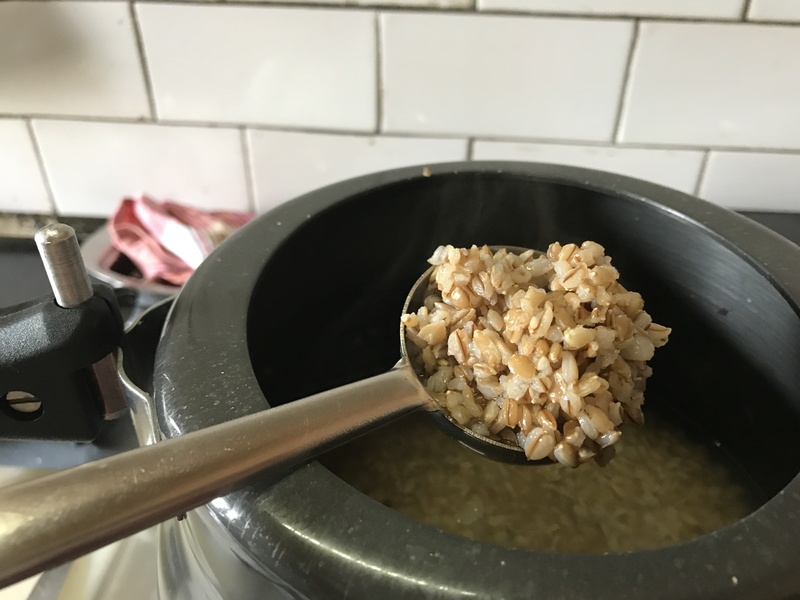 The jaggery may curdle the coconut milk. 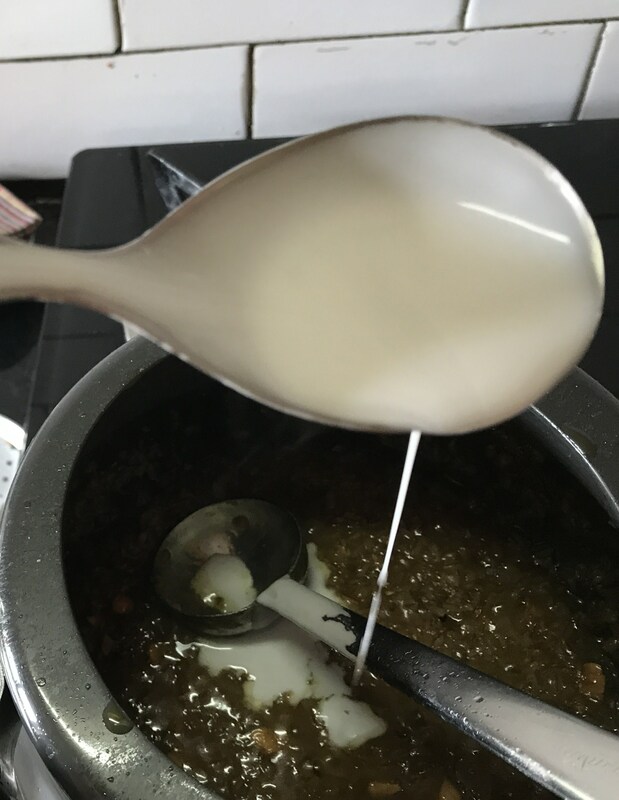 Nutritious Moongil Arisi Payasam is ready to be served.